We’ll let you in on a little secret. We know how to not only beat your control package in 2019, but we likely also will beat any of your existing efforts in 2018. All you need is a little help from Hallmark. First and foremost, it’s important to note that AEP campaign strategies are not just for health insurance companies to consider. By simply exchanging a few terms (i.e., “members” to “customers” and “AEP” to “acquisition”), you’ll find that the strategy to acquire new Medicare Advantage members is relevant for a number of different industries. In fact, many companies both in and out of health insurance face similar new customer acquisition problems. Customers evolve and “age-in” and “age-out” of offerings. Our job as marketers is to keep our market in our family of products and services for as long as it makes sense. So even if you’re not in the insurance space, maybe you’ll find some nuggets that make sense for your customer acquisition marketing efforts, too. At age 65+, consumers are flooded with advertising for new products and services. The age of retirement is one that many companies view as a highly profitable demographic. And given the number of health plans offering Medicare Advantage, there is no shortage of competition, especially during AEP. Given these facts, it is increasingly difficult to stand out and effectively acquire Medicare Advantage members. In order to succeed during AEP, it’s critical for health insurance companies to be credible and reputable. But perhaps more importantly, health insurance companies must be unignorable in the mailbox during the AEP. The 65+ demographic reads and responds to marketing in different ways than other generations. But what does unignorable mail look like to age 65+? Retirement Looks Good on You…Or Does It? Hallmark is a brand that many have known their entire lives. Our brand follows consumers from birth to 16th birthdays, from graduation to home ownership, from new babies to 40th wedding anniversaries. And we are no strangers to retirement (and beyond!). In fact, we specialize in creating both retirement greeting cards as well as greeting cards specific for health insurance companies (which can help you acquire new Medicare Advantage members). What we’ve learned in the past 110 years is that 65+ appears a little different depending on who you’re talking to. When we support clients with their AEP strategy, we don’t assume that everyone experiences 65+ the same way. Sometimes, it’s a happy time. Sometimes it’s not. According to the Kaiser Family Foundation, many people on Medicare live with health problems, including multiple chronic conditions, cognitive impairments and limitations in their daily living activities, and many beneficiaries live on modest incomes. All Medicare Advantage plans provide a multitude of benefits. And, your health plan might offer some unique benefits to members. All this makes it difficult to explain what you can offer simply and concisely. How can you describe your benefits in a way that is easy for a potential member to consume it? And how can your message convince them to enroll? Here’s how: focus on the most important thing your prospects need to hear from you. It’s easy to become distracted by the many perks your plan offers to potential new Medicare Advantage members. But what’s the most important? Focus there. Once you have the answer, the rest is easy. 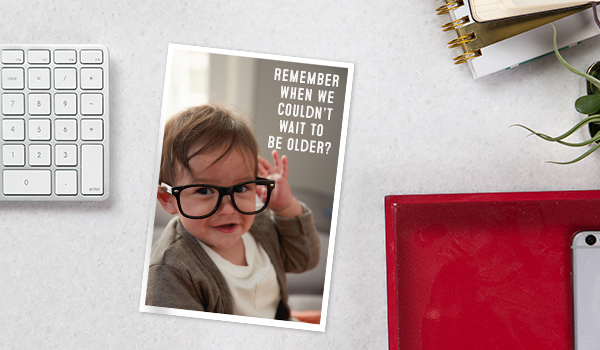 Put that one thing your potential members need to know in a Hallmark card. 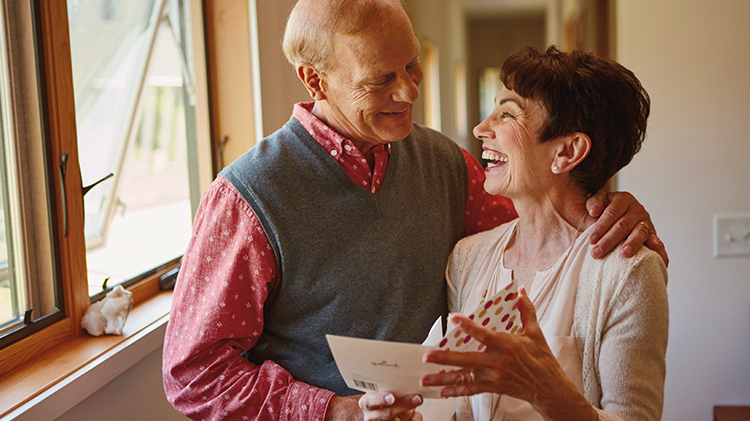 After all, Hallmark cards are opened, read, understood and acted upon better than any other direct mail format. We’re confident that a Hallmark card will beat your AEP control package. In fact, we’re ready to put it to the test in 2019. Health insurance companies and a variety of industries have relied on Hallmark Business Connections for over a decade to ensure high visibility for their most important messages. Want to try a Hallmark card for acquisition during AEP 2019? It’s not too soon to start planning. Contact us today to get started.